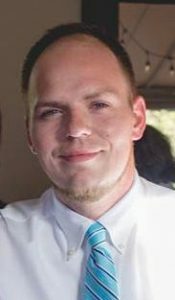 Stephen Andrew Ankrom, 30, of Raccoon Township, passed away unexpectedly Friday, October 5, 2018, at Heritage Valley, Beaver. Born May 30, 1988, in Pittsburgh, PA, he was a son of Terrence Ankrom and Deborah English. A 2006 graduate of Hopewell High School, he was currently working as a Business Manager at Globe Airport Parking in Moon Township. Surviving is his loving wife, Kendall Ankrom; his four children, Aiden, Eliana, Madison, and Kenley Ankrom; his father, Terrence (Karen) Ankrom; his mother, Deborah English; mother and father-in-law: Ken & Sue Wilson; maternal grandmother, Janet Haller; his brother, Matthew Ankrom; his three sisters, Amy (Chris) Baker, Rebecca (Tyler) Collins, and Alexis Ankrom; and two nephews, Cameron Baker and Vincent Ankrom. Steve also leaves behind Kendall’s family, several close friends, and Maverick the pig. There will be a Memorial Service and gathering on Tuesday, October 9, 2018 at 5 pm at Wildwood Chapel, 2850 Jack Street, Aliquippa, Pa, 15001. In lieu of flowers, donations may be made to his family.